Imagine lying on the forest floor at night, staring up into a canopy twinkling with jewels. Some are bright, hard gold. Many are emerald green, or shine like a polished granny smith apple under a spotlight. A very few are ruby red. You reach up to pluck one of them from the dark trees. But as you extend your hand, the gem whirs away to a point out of reach. Anticipation mounted before the birth of Bao Bao the giant panda at the National Zoo. With populations dwindling to dangerously low levels worldwide, the zoo was eager to see another bear added to the family. Consequently, Bao Bao's healthy arrival last August was cause for celebration. Michelle Obama made a video when she was named, and crowds gathered at the zoo to catch a glimpse of her sleepy, furry form. Bees are known to be highly intelligent creatures, but in a way, they are entirely oblivious. Buzzing among plants, a bee searches for pools of nectar to eat, slurping the stuff out of flower centers. But while carrying out this humdrum foraging routine, the bee inadvertently acts as a transport mechanism vital to hundreds of organisms. In making its way into plants' nectar repositories, a bee brushes past the flower parts that produce pollen. Sticky granules lodge among hairs on the insect's hind legs; the bee takes off with these miniscule stowaways attached. Social media and science education are not two phrases that often intersect. 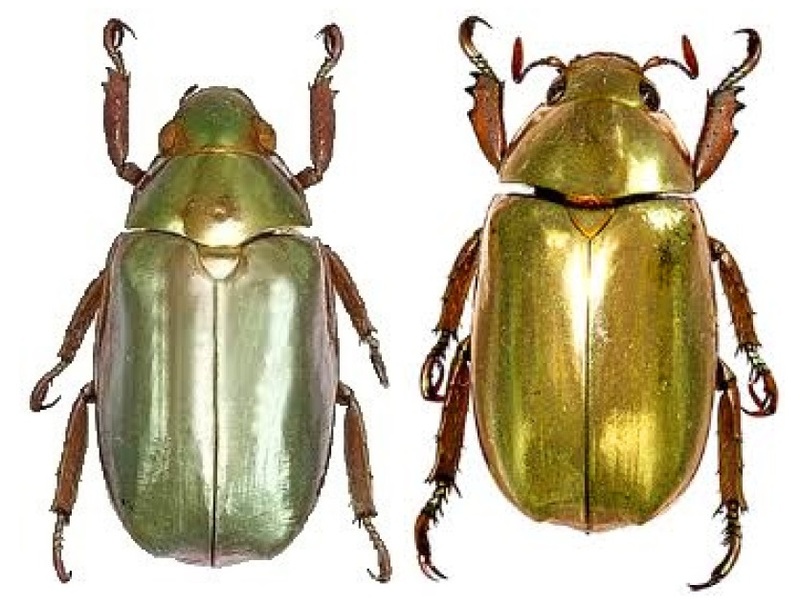 However, here at the Smithsonian Science Education Center we are working on digital initiatives to help provide new types of teacher resources through various social media channels. Since the SSEC's mission is to improve the learning and teaching of science for all students in the United States and throughout the world, going digital is a great way to enhance our print resources and reach more people. Social media platforms can provide teachers a multitude of resources and guides to teach various materials. 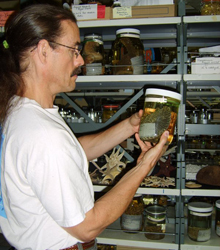 Tim Coffer is a museum specialist in the Department of Invertebrate Zoology at the Smithsonian National Museum of Natural History. Coffer has a B.S. in Marine Biology from the Florida Institute of Technology.